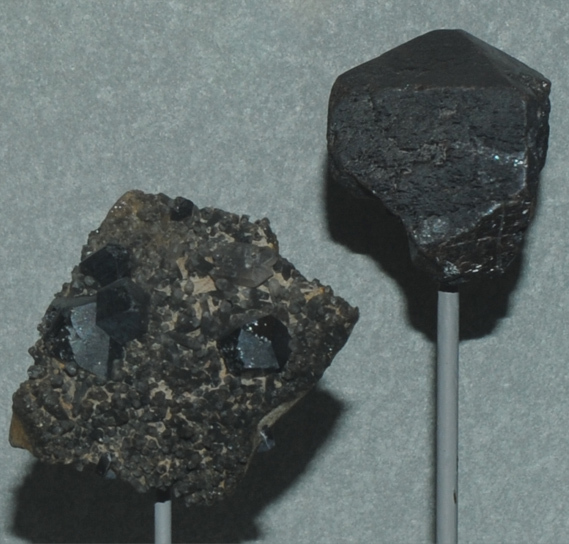 These samples of brookite are displayed in the Smithsonian Museum of Natural History. Brookite is an oxide mineral of titanium with the composition TiO2 . This sample is about 5x2 cm and is from Saulspitze, Virgen, Salzburg, Austria. These two samples of Brookite are from Magnet Cove, Arkansas. The sample at left is about 4x4 cm. 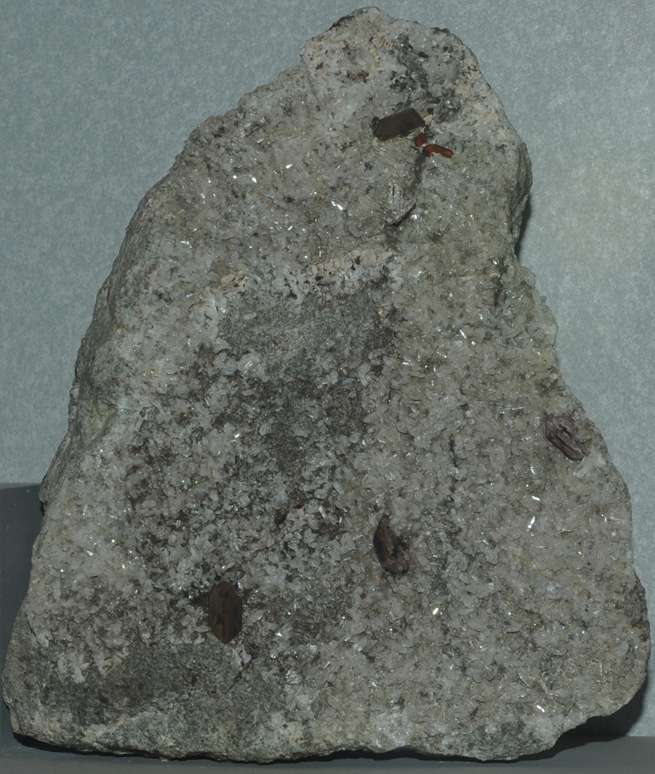 Brookite in wafer-like crystals is embedded in this larger rock sample along with small quartz crystals about the size of rice grains. The brookite crystals measure about a centimeter. The larger sample is about 15x15 cm and is from Fronolen, Tremadoc, Wales.